Each cluster in the system must belong to a data center, and each host in the system must belong to a cluster. 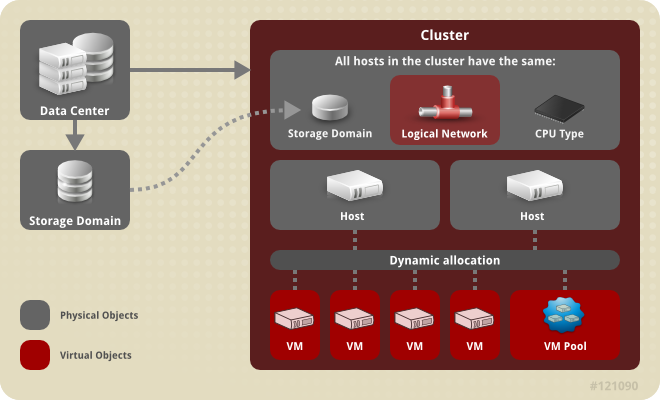 Virtual machines are dynamically allocated to any host in a cluster and can be migrated between them, according to policies defined on the Clusters tab and in the Configuration tool during runtime. The cluster is the highest level at which power and load-sharing policies can be defined. Red Hat Enterprise Virtualization creates a default cluster in the default data center during installation.